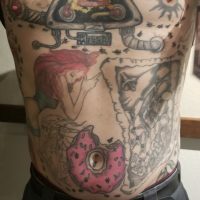 Jave Patterson got some face time with local World Record holder, and Carson City resident Josh Thornton to discuss how he came to claim the honor of having 420 ants tattooed around his entire body, and shattering the previous record by a long shot. We also talked about his tattoo shop Skeleton Skin in Moundhouse! Check out the talk below!